When it comes to keeping your engine in top working condition, it’s no secret that few maintenance jobs offer more long-term benefits than a clean, regularly-drained fluid system, including the motor oil and transmission fluid lines. These critically important systems keep your engine properly lubricated and prevent damage during high-performance driving. But no matter how much you drain and refill your fluid systems, it won’t do any good if the lines themselves are dirty – and nothing gets debris out of your lines quite like a high-quality filter. 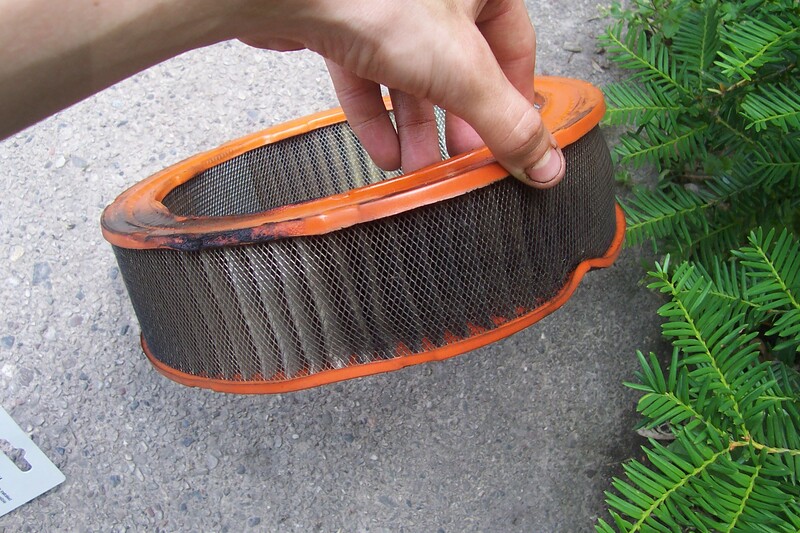 You may not have considered them before, but your vehicle actually relies on several different kinds of filters, from the cabin air filter to the motor oil filter and even the fuel filter, all of which help clarify your vehicle’s important fluids and remove any debris that might be present in the lines. This prevents physical damage from occurring within your vehicle out of sight, and can help keep those important systems from gunking up with sludge. Your car’s engine is a high-powered piece of machinery that contains everything from high-velocity moving parts to controlled explosions during the course of its normal operation. Unsurprisingly, your engine can get pretty hot – and as a result, it’s important that your engine has ways to cool the engine off and keep it running at a safe temperature. While most drivers are familiar with how their coolant system works, it’s important to remember that airflow plays a huge role in engine cooling as well. Without enough cool air running over its hot exterior, your engine could build up to dangerously high temperatures – a situation almost guaranteed to happen if your engine’s air filter isn’t properly maintained. Generally, it’s a good idea to replace your air filter about every 12,000 miles, or whenever it looks visibly dirty or blocked up. If you live in a particularly dusty or sandy area, your filter might need to be changed more often, so keep your eye on how it looks at any given time. Replacement is cheap, easy, fast, and can definitely be done at home – although there’s no harm in letting a professional take care of it during your regular maintenance visit. Your oil filter – that hidden little cylinder found under your wheel well or next to your oil reservoir – is a small but hugely important piece of equipment that makes sure your motor oil is free of sludge, debris, and any other gunk that might accumulate over the course of a few thousand miles. Generally, you might hear that you should change your oil filter every time you change your oil, and that these should both be done every 3,000 miles. While it is definitely a good idea to change them together, most modern vehicles can actually run about 5,000 miles or so between oil changes thanks to improvements in oil and vehicle technology. Check your engine’s dipstick to see how the oil looks and you’ll have a pretty good idea of what your filter looks like as well. In much the same fashion, your car’s fuel filter is important in that it prevents any damaging debris, like paint chips, dirt, or rust, that may have built up in your fuel lines from reaching the engine, which could cause serious harm to your systems and possibly ruin your car’s working engine. Generally, you should have your fuel filter changed about every 12,000 miles – around the same time your air filter is changed – to maintain a clean and healthy engine for miles to come. While nothing is guaranteed to make your vehicle last forever, taking simple maintenance actions, like replacing filters and fluids, can have a huge and lasting impact on the long-term health of your vehicle. If you’re ready to give your vehicle the care it deserves, give us a call at DePaula – the only place you’ll find great service, great prices, and an excellent and friendly staff that’s ready to help you get on the road safely. Whether you’re a brand-new driver or a seasoned cruiser, don’t forget to take good care of your car’s inner workings – and don’t forget about your filters.